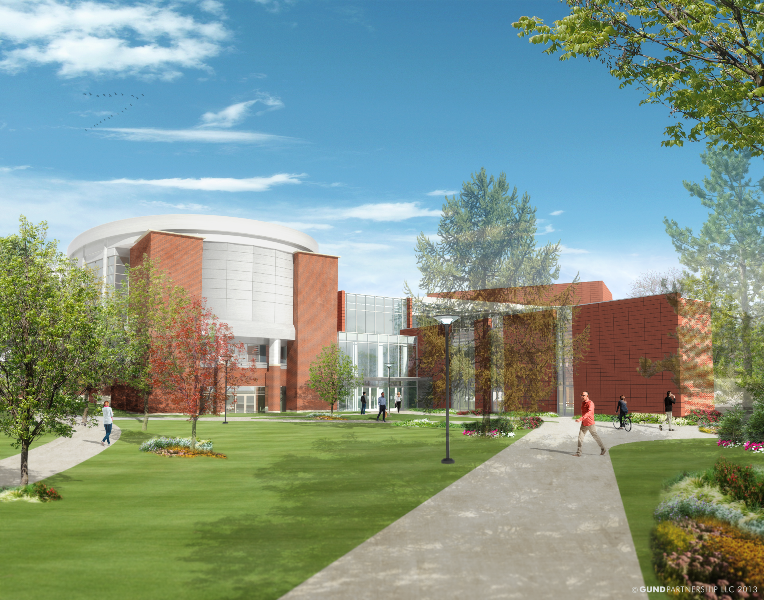 The Hetzel Union Building at Penn State is a 107,000 SF addition and renovation construction project. 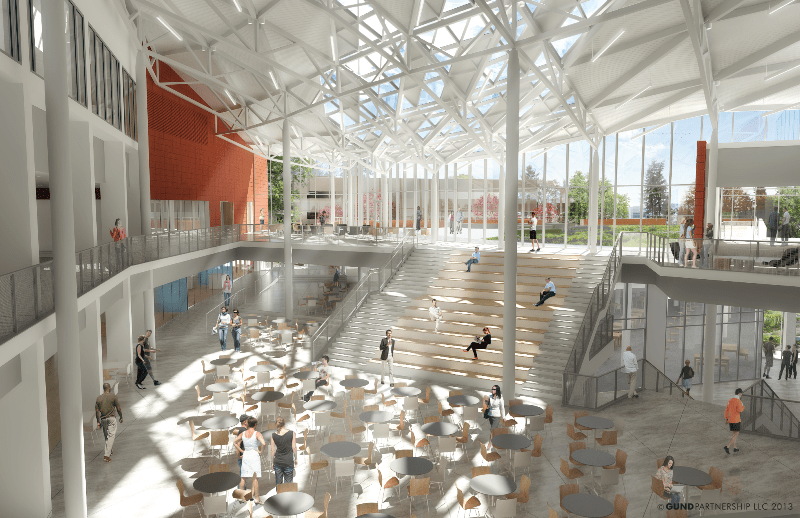 The main project challenge will be building the addition on top of, adjacent to and within the existing buildings while keeping student and food service operations running smoothly. 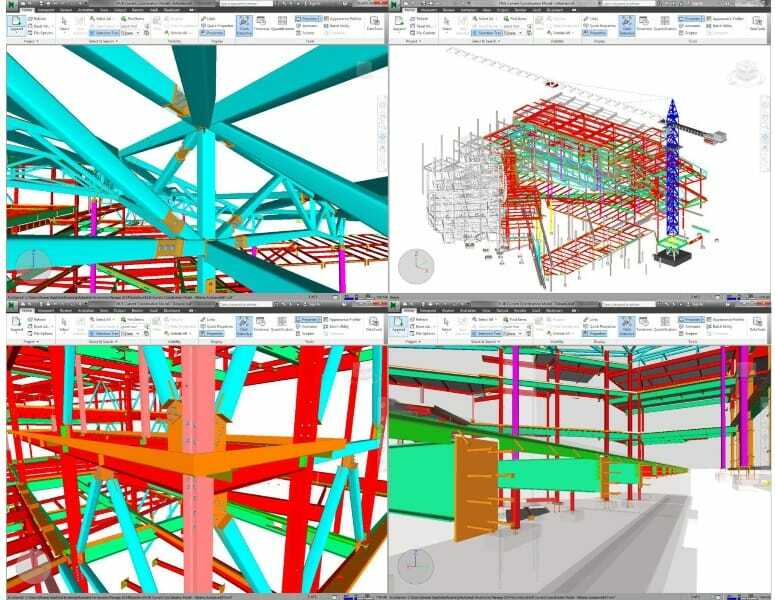 In order to maximize picks by the tower crane, Gilbane utilized virtual design and construction techniques including BIM to analyze crane placement in avoid conflicts during the steel erection process. The project is targeting LEED certification and involves three phased projects. Enclosure and conversion of outdoor space into usable indoor space while simultaneously integrating the Bookstore visually and physically into the union. An over build on the second floor adds meeting/ multipurpose space and “black box” theatre. Conversion of existing roof into a green roof with interior and outdoor seating/program space.